As it stands now, it appears that the Bulls will finish with the fourth worst record in the league. And although Cleveland and Phoenix have won a few games to close the gap on the Bulls, I'm sure Chicago will stumble across another win or two before the season is over. Looking ahead to the future, Chicago seems set with their young core 2-5. The one void that remains a question mark would be the point guard position. Might GarPax consider shopping the pick (maybe even before draft order has been determined) to land a promising young point guard? Sure, you'd love to draft Zion or even Morant, but after that, I don't know how Barrett would fit, or anyone else when looking at the best 5 players in college basketball. Would the potential of landing Zion be enough for the Cavs, who would then have two of the top four picks, to send Sexton to Chicago? Although it seems less feasible, what about Fox out in Sacramento? Best case scenario would be for the Bulls to reap the benefits of the new draft probability equation and end up with the first or second pick. However, if that doesn't happen, I don't know what you do, especially if you end up out of the top three. Sam: How's that go about what they get the big bucks for. 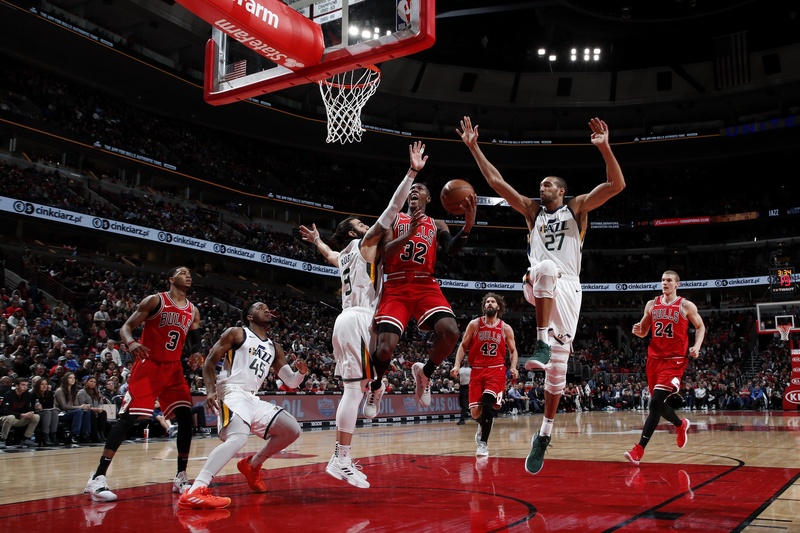 With two games to come against the Knicks and two late against the 76ers, who probably will be locked into playoff position, the Bulls likely will find a win or two despite this G-league All-Star team they've mostly been playing with the injuries. Many of them are offensively challenged, as we've seen. But the thing about those guys, as Shaquille Harrison noted after the Portland loss when he had a career high 21 points, they're auditioning for the rest of the league as much as the Bulls. 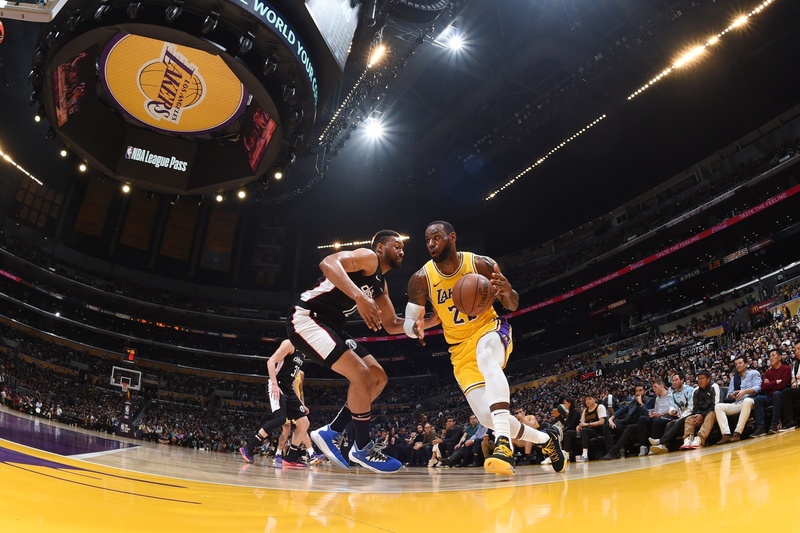 So they come into games with a desperation you may not always see from some of the veterans so close to the playoffs, and they do seem to be NBA role player types. So, indeed, it seems like the fourth spot for the Bulls in odds for now despite being close to Cleveland. Again, it's a crapshoot for all of them for the No. 1 pick as even the top 3 teams have an 86 percent chance of not getting the No. 1 pick. It's pretty clear to everyone, which means even NBA talent evaluators, that Zion and Morant are 1/2 in the draft. Yes, these guys make huge six-figure salaries for that. If the Bulls are not there, I probably would take Barrett since he sure looks like he can score. And others will emerge, as it always happens. Someone the gms think should be a No. 7 or No. 10 pick often becomes a "surprise." I'm not much of a fan of Sexton since I assume Cleveland if they got No. 2 would take Morant. Could you get Trae Young if Atlanta moved up? Kris Dunn was playing somewhat better before he had back issues. But I expect the Bulls to be creative and not locked into just using the pick where it falls. It's the creativity which we'll all be watching. How did a guy like Ja not get a scholarship to a team in one of the major conferences? Is it similar to where high school scouts are not able to identify who the best players will be? Or are there too many high schools to scout and some players fall through the cracks? You would think even a mediocre big ten acc or big east team would have taken a shot at him. Sam: I assume his idols were Cameron Payne and Isaiah Canaan. They'll eventually find you if you can play, but sometimes later if you don't fit their physical profile. He was from a smaller high school in South Carolina and under six foot in high school and, heck, now he barely looks like he weighs 175. So, understandably, there wasn't much interest, which allowed the "mid major" Murray State to step in. When you can't get the big guys, you look for the guys who may become big guys. I don't know much about Morant, but it's impressive that after he began to blossom and get offers from many of the big schools, he picked Murray State because they made a commitment when no one else would. It shows the kind of character you'd like to have. You know, that culture thing. Last year at draft time I felt the bulls made a mistake in not trying to trade up to land Luka. I don't know how serious the bulls had considered looking at Luka but do you think they have regrets in hindsight? Having seen him in Europe I felt he was the real deal with skill and experience to be a top player for years to come. Even then I wouldn't have believed how good he would actually be. So fast forward one year and a bulls with hopefully a top 4 pick, I think if Zion is off the board the bulls need to do what they can to get ja Morant. He seems to have the game to facilitate and to create his own game. No offence to carter (who I think will be a starting centre) surely the bulls won't make the same mistake in missing the top rated guard in two consecutive drafts. Sam: So would you trade the pick and Markkanen, already close to a 20/10 NBA player, for the No. 2 pick? That's probably what it would take since draft picks, and especially highly promoted ones like Morant, are valued so highly, usually too much. The Bulls were among many teams trying to trade up last season, but they didn't have a high enough pick. Just because you want something doesn't mean you can have it. Except Ivy League admission, of course. Everyone every year wants a top three pick. No big surprise there. Atlanta did have enough, and Dallas took a risk giving up No. 5 and a future No. 1 that could be this year for a guy few had seen play. It's paid off very well so far, but Atlanta likely gets another lottery pick along with Trae Young. The Bulls didn't miss the top rated guard. They were one of 20 or so teams who didn't have the players and pieces to make a deal. Though I cannot say for sure they would have taken Doncic. After all, he didn't go one or two. With Zach LaVine a free agent and Markkanen a promising rookie and having the No. 7 pick, they didn't have anything resembling a package to move up. They still really don't to move into the top two in this draft unless they give up a top starter and their pick. You do know, by the way, that Dallas has the league's sixth poorest record. 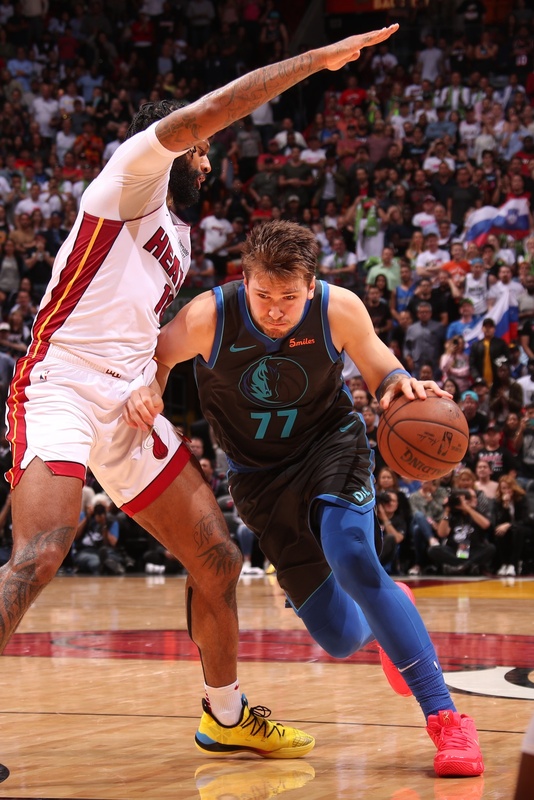 I'm not diminishing Doncic because I think he's terrific and can teach a lot of NBA players how to play because he's not explosive or particularly athletic and doesn't move all that fast. Yet he looks like a 20-point scorer for the next decade, already being trapped and blitzed like a veteran top scorer. 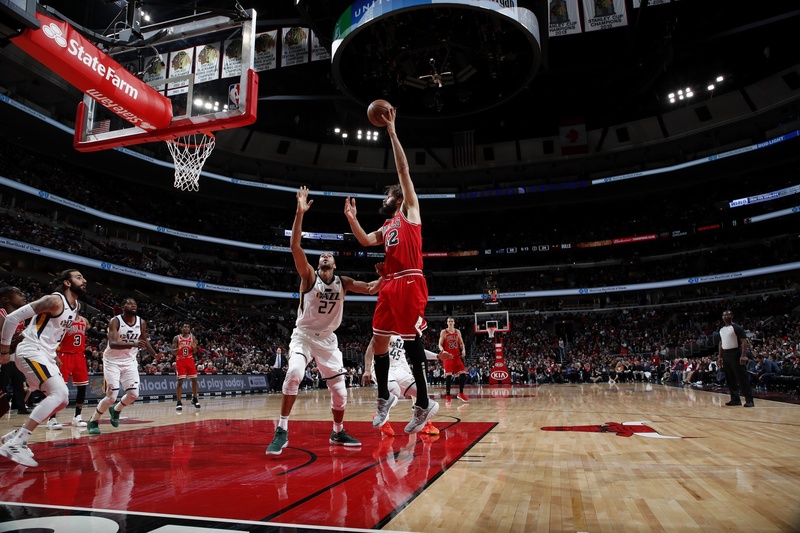 But like with the Bulls young players who appear to have such high ceilings, you're not someone until you have some team impact and play in games that matter. They all could, but we still have to see how much impact Doncic can have. Yes, it'll be a big summer for a lot of Bulls who need to be a little better/stronger/faster, or add a skill, in order to contribute. I doubt that all of our wishes for them will come true. Carter's development is key, and I have high hopes for him. But, ultimately, I think you and some others will be disappointed when he is still not a starting NBA Center, even if he adds 20 lbs. of muscle. (Yes, I remember Wes Unseld, but that was then...) That's why I say you lose Lopez w/out replacing him at your own risk. 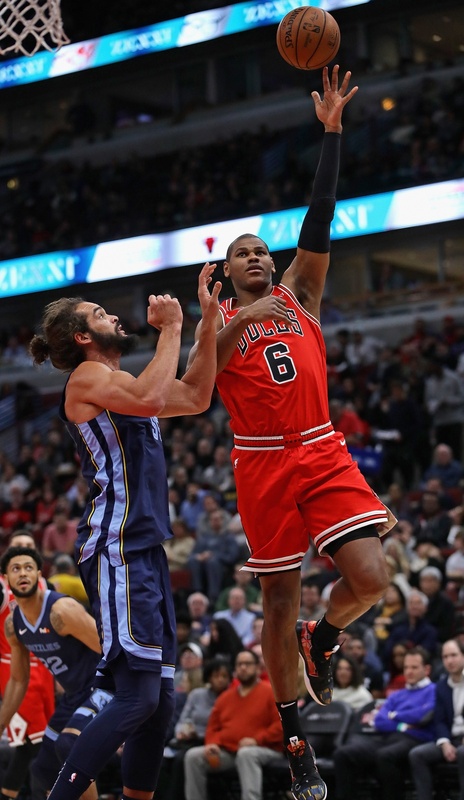 If we commit to Wendell starting at Center, with only Felicio to back him up, it could become another long, ugly, season. I'd be very happy to be wrong about this! Sam: Players come in all kinds of shapes and sizes, and I'm still holding out the belief that at 20 years old in April even if he doesn't grow, he'll be skilled and strong enough to be a factor at center. Don Nelson never won titles, but he coached a heck of a lot of fun and exciting teams that got close with all sorts of sized player using mismatches and skills. True, we've seen Carter having difficulty with the huge big men, though I don't see many handle Embiid. That's what Toronto got Marc Gasol for, so we'll see in the playoffs. I can see Carter's shooting improving, and I just don't see that many teams with the patience to pick and roll him to death with diving seven footers like the Nets did at times with Jarrett Allen. There's plenty of creativity possible playing with a seven footer in Markkanen, and that's up to the staff. I'm still on board. Both played with two superstars. Both may have had higher stats in different situations. Now that Horace is back with the team in different roles, maybe we'll see # 54 in the rafters. Sam: Thanks for bringing it up. In the race and urgency of each day, especially with a franchise like the Bulls so anxious to create a future now even more than to celebrate the past, actions like this sort of become overlooked or forgotten about. It's a valid point, and I agree it is time for Horace to get that recognition since he was a legitimate and vital part of a championship Big Three. So much so that when he left in 1994 to sign with the Orlando Magic, the Bulls were so desperate for a replacement they did what they always said they never would do, take a chance on low character and someone like Dennis Rodman. Dennis was better than advertised and it worked out, but Horace's impact was every bit as valuable for the 1991-93 Bulls as Bosh's was for Miami. Bosh left on poor terms, angry with the Heat over his inability to keep playing. Obviously, that's past. And similarly, it's time to forgive Horace. The Bulls obviously did in large part by hiring him as a team ambassador. And from everything I hear he's by far the most valuable and reliable among those former Bulls in the role. Sort of like the role he played for the champions. Horace had somewhat of a bitter parting as a free agent in 1994, and then it became compounded when he celebrated so vehemently with his Orlando teammates when they knocked out the Bulls in the playoffs in Michael Jordan's 1995 return. Then Horace added a title with Phil Jackson in Los Angeles, and it seemed his connection with the Bulls was severed. 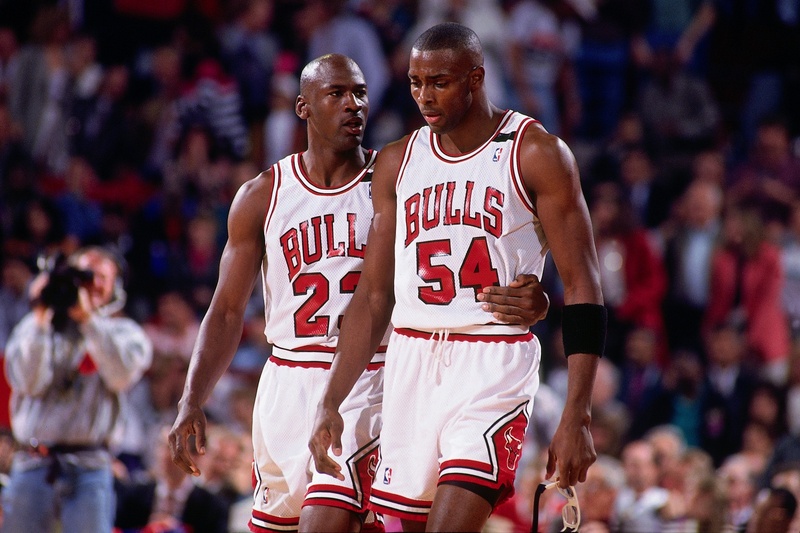 Though it should never be forgotten it was when he and Scottie Pippen were drafted, the Bulls title began to form, and that he was so valuable that when he left all Phil Jackson could ask management for was someone like Horace. It would be a fitting tribute for a good man and vital player in team history, truly the only irreplaceable figure from the championship years who has not been so recognized. And before anyone goes there, no, not Rodman. I was watching a 1981 NBA playoff game. The refs awarded 3 free throws on a missed layup. The announcers called it "3 to make 2". What was the concept behind awarding three chances to make 2? When did that rule end? Sam: The way this season has gone I can hardly blame you for going back decades. The three-for-two, I believe, came in the same time as the shot clock in 1954-55. Basketball had been a particularly brutal game the league owners had been trying to clean up for years. The term "cagers" has been used as a shorthand for basketball players. It comes from the game literally being played in a cage years ago because it was so violent. Yes, really. Anyway, the league was using free throws as a penalty to help alleviate the rough play. You commit a foul, the guy gets three chances. The three for two was for a backcourt foul or for a foul after there was six fouls on a team in a quarter. I believe for the 1981-82 season, the league decided the players had become so good shooting they didn't need the extra shot, violence had been curbed with flagrant fouls and it was slowing the game too much. 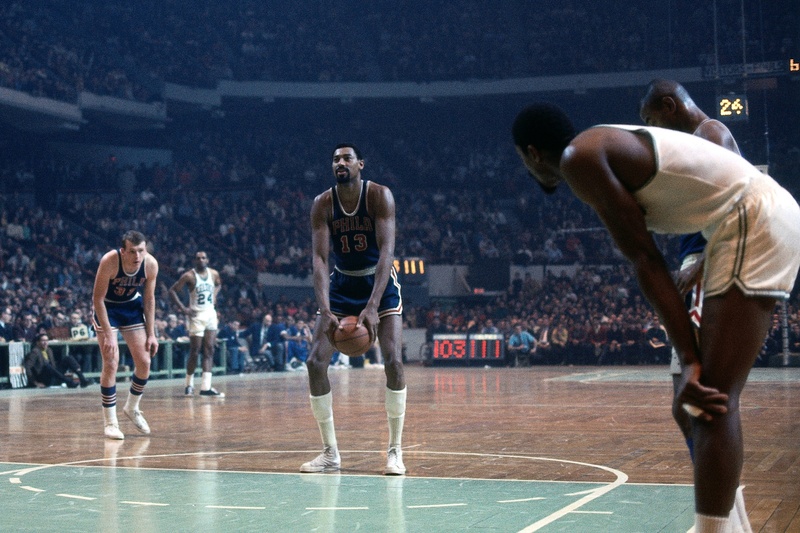 And even with the three for two, Wilt usually missed two of the three. And he still averaged 50 points in a season. I saw you wrote in your mailbag that you don't think Rolo will return. What if the Bulls brought back Noah on a cheap 1-2 yr stint? He has played great for the Grizzlies and still offers rebounding, defense, effort, passing and could be a great mentor to back up Carter. Sam: We've all been rooting for Noah, so it's been wonderful to see. I know Thibs would love this as I now get plenty of suggestions to bring back Derrick Rose and/or Taj Gibson off the bench. But as most people know or learn the hard way, it's tough to fall in love again with the same person after it was over. Robin could return, though I don't see him settling quickly and first looking around for a starting role. But it is way, way, way too early for this Bulls team to even think about those sorts of commitments. Say Kawhi decided he loves miserable winters and deep dish pizza, so he has to be in Chicago no matter the salary. Of course, he won't. But with the Bulls still having many needs and having an ample amount of salary cap room, I suspect it's better to play the market at the time in July and I assume they will. Plus, there's a lottery drawing to consider first. 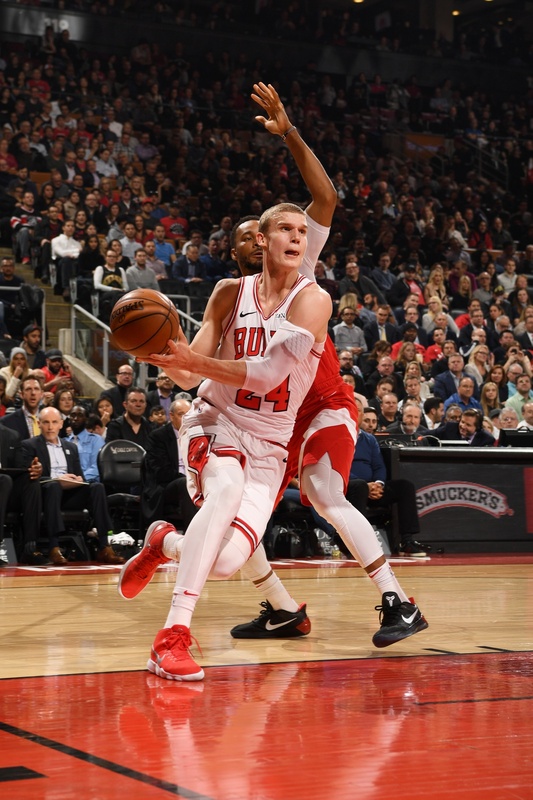 I've read that Laurie Markkanen's slump in shooting and rebounds is the product of lingering injuries, which got me to thinking how lucky Bulls fans were in the 90s to have such durable players as the team core. As we watch how banged up our 20-24-year-olds have gotten over the past two years, it's good to remember how durable Jordan, Pippen, Grant, Rodman, Pax, and the rest were. It also makes me wonder if part of the maturation process in the NBA is finding a second element to one's game so you can still be effective when you're not at your peak, physically. Sam: As we've learned since you wrote this there were some issues with a rapid heart beat, and Markkanen is out for the last six games, the Bulls insist as a precaution. He's seemed anxious to play, so I have to believe it is precautionary and perhaps even—wink, wink—lottery oriented. But don't tell anyone. This is where my complete lack of medical knowledge and expertise comes in. I know people like to think today's players aren't tough like they used to be, which is what I recall Oscar and Wilt and Elgin saying about Jordan and Bird and Magic. Anyway, my belief without any actual knowledge, which seems a common method for coming to conclusions in this era, is that the year round training in staying with one sport, which we see even in high school, puts so much torque on the joints and muscles that the body cannot take it. There's no question players today are more athletic and skilled than players of any era, if not so much fundamentally sound. The body sizes are amazing, which gets us all back to Zion, the biggest name in basketball today. May 14, baby! Anyway, how the heck is he going to continue to put 285 or 290 pounds of those spectacular, quick explosive moves on the same bones and joints and tendons and things the rest of us have? And having basically told most of the NBA world to stick it by continuing to play, he's shown the kind of elite competitor he wants to be. This is a guy who wants to be great. Also college games mean something. At least now. The great players do great things in these games, like he has. You sure hope he stays healthy. I haven't been so excited to see a player come into the NBA since Greg Oden. Oooops. I've never been a rah rah guy for Lebron. I respect his talent, but it bothers me that he is one of the faces in the League, and it appears that he's okay with sitting out games even when healthy. Not to start the debate again, but I seem to recall a quote by MJ where he said he felt obliged to play in as many games as possible - especially on the road - because fans pay their hard-earned coin to see him play - in some cities only once a year. Lebron has all summer to rest - especially this year since he's not in the playoffs. What's your take on players "resting"? Also, any chance of "the fix" being in for the Lakers to get lucky, win the draft lottery, and trade it to the Pelicans for Anthony Davis? Sam: I got future Lakers coach Tyronn Lue mad at me a few years ago over that issue. Yes, it was preseason, but season ticket holders still pay for those tickets. The Cavs didn't travel with even one of the top 10 players on their roster, and, of course, no LeBron. I asked Lue if he or the Cavaliers or LeBron felt they owed the league anything, and he said no. When you have LeBron you have to cover for him. Michael did always understand that and his place in the league, but it was a different time because the NBA wasn't as popular or prosperous. The players in 1983 agreed to a league partnership to allow a salary cap to presumably save five or six years (and 100 jobs) from bankruptcy. The players embraced their responsibilities to build the league in partnership. That changed with several lockouts, some in which the players felt the owners were holding out revenue on them, and then the fantastic explosion in salaries that created the notion of a player as a brand, something of their own independent corporation. Who saw that coming? So LeBron as part of this generation—not just him this time—doesn't always feel the responsibility to the league quite as much, and by extension, the community. Not everyone, but many. They are almost all good people, better and more sophisticated and cooperative than you'll generally find in any of the other major team sports. But more independent and pampered because of the investment made by the teams in the players. It doesn't make LeBron a bad guy. Just more individually empowered. Don't worry about the Lakers getting the No. 1 pick and Zion. It's possible, but it won't be because of a league conspiracy. I know most of the top people in the league and am quite confident none are intelligent enough to carry off an impeccable conspiracy. The Anthony Davis stuff quieted past the trading deadline, but I still expect him to land with the Lakers. The Lakers with their draft pick will probably be able to offer enough that I don't see anyone taking the one-year chance and stripping their roster when the Lakers will be giving up a half dozen players and picks. Is there any chance Arcidiacono continues his surprising improvement over the summer enough to challenge for the starting job? No need to list all he brings in leadership already, giving up his body for the team every night. He reminds me of Captain Kirk but more protective of the ball. Damn, I wish he could get the job, it would be a great Bulls story! I like Kris too, and he's likely to keep improving too, I think he'd make a great Sixth Man candidate! And this option would broaden our ability to sign and draft to our other needs, especially a high-quality back-up Big. Sam: I agree Dunn has abilities that could be especially impressive as a combo guard off the bench, if not a starter. He doesn't have the same shooting component, but guys like Lou Williams and Jamal Crawford have made great careers that way. Bobby Jones without great offense could be on the way to the Hall of Fame as the first Sixth Man winner, and players like Corliss Williamson and Rodney Rogers had good careers off the bench without being high level scorers. Heck, Aaron McKie could barely make a free throw. It sure would strengthen the Bulls to have Dunn coming in to play reserves. It would be a wonderful story, but Arcidiacono doesn't seem quite dynamic enough to be the starter. Of course, when I first met him in the G-league I didn't think he was an NBA player. Like all the other scouts who didn't think he should be drafted. He should have an NBA career, which is great, but in this era of the point guard, you do need better to start. How about Adrian Dantley for most underrated? Probably the greatest post player ever in the NBA! No one that's on the 50 at 50 team is underappreciated. That's almost definitional. Lots of players not on that list were really fun to watch, though. Bill Walton before the foot injuries was off the charts. I know. Top 50. He was so much better than he showed through his NBA career. David Thompson was an amazing player. Bobby Dandridge. Yep. Fer sure. The entire '75 GSW bench. They played super great as a unit. Sam: Most underrated among the greatest. Sam: I had some fun a few weeks back—hey, I don't have that much to do—listing some of my favorites whose only association with the goat was at farms or petting zoos. Same like me. I'm pleased to offer them some more notice. Oscar is celebrated for his labor activity and the triple doubles (I left in the Hard Labor plug because it's really a great story and I was able to work a lot with Oscar). Few saw him play not only because of the era, but because he played in Cincinnati, which didn't have TV back then. Plus, because the Celtics had 15 hall of famers on their 10-player roster, not many realized Oscar may have been the most perfect, all around most fundamentally sound and skilled basketball player ever. I also appreciate the word and words of John Wooden. He was a Hoosier, so he paid attention even from Los Angeles.